MHP Communications and Mischief will operate under the 'Engine' banner and could dissolve their legacy brands in years to come, PRWeek has learned. The move is part of a plan to bring all Engine group agencies under an ‘integrated’ model, first revealed by PRWeek’s sister title Campaign last October. In the coming year, this means Engine’s two PR agencies will come under the Engine brand while retaining their legacy brand names. This could see them rebrand to 'Engine MHP' and 'Engine Mischief'. MHP Communications is the 20th largest PR agency in the UK with annual revenue of £18.2m, while Mischief is a top 60 agency with turnover of £5.2m. The PR agencies will be brought under 'Engine Communications', but it is unclear how this will impact each agency's operations and management structure or whether the two businesses might eventually merge. The finance and HR functions of MHP and Mischief have been part of a central Engine team for a number of years. The changes are being driven by Engine Group Asia and Europe chief executive Jim Moffatt, who told Campaign that all agency legacy brands would eventually be dropped to operate under ‘Engine’, but in the case of its PR agencies, this transition could take several years. Engine's other agency brands, WCRS, Partners Andrews Aldridge (PAA), Slice and Synergy, are planning to ditch their legacy brands and operate under Engine in the first part of this year. The group is being structured into three divisions: transformation, which includes insight, data, consultancy and business innovation; creative and experience design; and PR. The PR arm will be led by MHP Communications CEO Alex Bigg, who becomes CEO of Engine Communications. 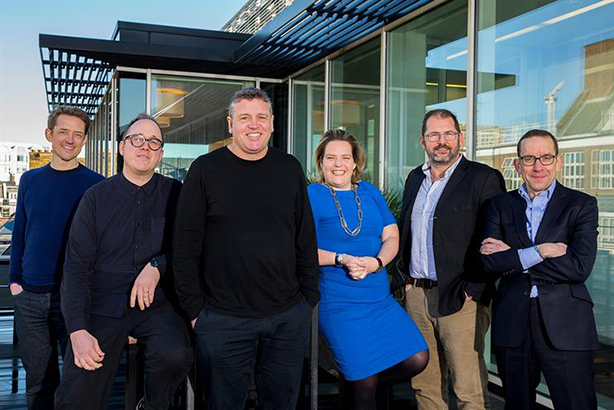 WCRS chief executive Matt Edwards will lead creative experience and design; Emma Robertson, who currently runs Engine’s consultancy division Transform, will lead transformation; while Engine group MD Simon Peck will become chief client officer. WCRS ECD Billy Faithfull rounds out the management team as Engine’s chief creative officer.